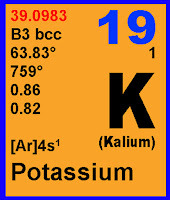 KALIUM (or potassium), one of the most important mineral found in our body, is going to be the star project for December. Why so? This mineral regulates body fluid and very crucial for hypertension patients. (See... I have a special interest in hypertension). The picture related to the food sources of kalium will be included. This is just a share thought but, I found a paradox in here. For apple, I patch Death Note’s picture featuring Yagami Light holding (oh, the apple was floating in the air) an apple. Apple – in my review – can maintain heart’s health, but in Death Note story, the method for wipe out the ‘enemy’ was via heart attack. Oh, what a paradox (see what I mean?). Then, I bursted oout of laugh whenever I saw Kumohira-sensei holding his melon (XD). Can’t believe that! I mean I never imagine Kumohira-sensei doing such thing in manga. Xixixi...(I think I ruined his image now). I love Raikou with orange background because it looks fresh! LUV it – LUV it! Fruits RULE!! !